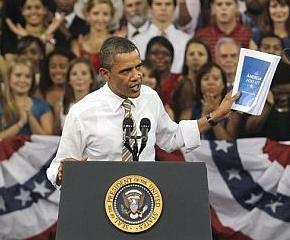 Obama's $447 billion plan to create jobs went before the Senate last night. The Republicans filibustered, meaning the plan would require 60 votes to pass, and then literally every single Republican voted against the plan. If there's anything that the Republicans can unite for, it's to oppose something that would help the American worker. Even two of the more "moderate" Democrats sided with the GOP in the vote. What a surprise. Considering the direction American politics has gone over these last twenty years, half the so-called "Democrats" currently in office are just conservatives in disguise. But while that's a problem, it's a lesser concern to what's happening right now. The GOP is actively working against the American worker, citizens trying their best to succeed in a country that is increasingly ruled by a hyperwealthy elite. If we want any chance of continuing to live in a free country, this has to stop. Call your congresspersons; write them letters. Tell them how disappointed you are in their behavior, and remind them that their actions determine your next vote. These charts tell a powerful truth. While unemployment is higher, for longer, than it's ever been before, corporations are making record shattering profits. The country, as a whole, is making more money than it ever has before. We're a wealthier country than we have ever been. But one in ten people are unemployed. If you add in the people who want to work full-time, but can only find a part-time job, then it's almost one in five. Almost one in five American citizens are either unemployed or can only find a part-time job, when they need a real one. America is more profitable than it has ever been, but more people than ever before are losing their jobs and their homes. Where is that profit going? To the corporations, of course! Who use that money to buy more power in our government, and relax their own regulations. Which lets them steal more money from us, which lets them buy more of our government, and so on. A few months, ago Republican politicians demanded of Obama, "Where are the jobs?" Now, as the jobless are finally starting to stand up for themselves, to blame the ones responsible for their joblessness, the Republicans have suddenly changed their mind. They yell at the protesters, "Go get a job!" It's typical conservative behavior. If they can blame a Democrat, they'll admit there aren't any jobs. They'll say it's Obama's fault. But the instant the unemployed actually demand economic fairness, they claim there's enough jobs for everyone! The jobless are just lazy! The GOP is the definition of two-faced. They're lying. Either there aren't enough jobs, and the protesters can't find work, or there are enough jobs, and Obama has fixed the problem. They want to have it both ways, but they can't! Has Obama fixed the problem? No -- the House of Representatives, ridden with Tea Party idiots, has forcibly stopped his every attempt. There aren't enough jobs. 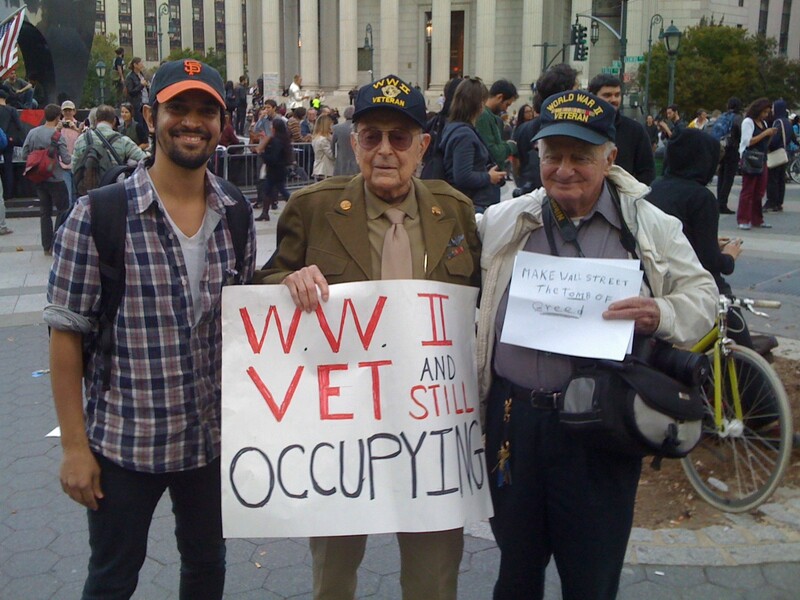 And the Occupy Wall Street movement is right. They're the patriots. Stand up with them. Those three words are the start of the most important document in our nation, the foundation for our society and our way of life, the Constitution of the United States. But it's more than that, as well. Those words are the basic symbol of American unity. These words imply that we are a people, not just 310,000,000 individuals who happen to live in the same place. We are a people. We are a nation. When the nation succeeds, we all succeed. When it fails, we all fail. That is patriotism. That is love of country. Anyone who disagrees with this is not only unAmerican, but anti-American. They are against the very essence of the foundation of our country. The Republican Party has shown itself to be anti-American. No, more than that. Over the past few years, the GOP has bragged about its lack of patriotism. It's shouted its hatred of our nation from the highest rooftops it can, and all the while it's plastered American flags on every free surface. As if we're so stupid that we'd be tricked by that. ﻿﻿Occupy Wall Street is getting some bad press. I mean, it's getting some really bad press. Especially from Regressive linchpin FOX News. Famous reality denier Bill O'Reilly has declared that the protesters are jobless because "they don't want to work." According to Kimberly Guilfoyle, the movement is nothing but a bunch of useless people who "dirty the streets." Sean Hannity's response to the protesters is to talk over them, say they don't like freedom, and accuse them of destroying the country. Well let me tell you something: if they could get a damned job, they might not be there! If the economy hadn't been wrecked by billionaires and their corporations, then maybe people wouldn't be this angry! 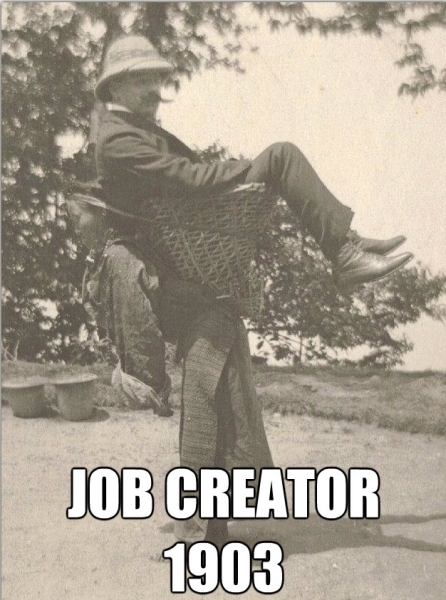 If those hyperwealthy that FOX News and their Republican cohorts keep calling "job creators" actually created some jobs, then maybe things wouldn't have reached this point! But the economy was wrecked by these people. These "job creators" don't want to create jobs -- they'd rather sit on their money than "waste" it on employees. And so nearly one in ten Americans can't get a job. Regardless of the facts, conservative newspeople and pundits argue over and over that Occupy Wall Street protesters must just not want to get a job, because anyone who wants a job can get one. It's hard to figure out what goes on inside a Regressive mind, but it appears to be something like this: when the unemployment rate goes up, that just means America is lazier than usual. It's apparently got little to do with the economy. Because after all, even when some think the country's actually entering a depression, anyone who wanted to work could. They're literally pointing at the the unemployed, the homeless, and the starving and saying, "The bad economy is their fault!" Well, it's not. You know who I point at? The banks, the hyperrich corporations, and the billionaires. The economy is in ruins. Unemployment threatens to break records. America is in trouble. People are scared, worrying about their future, wondering if they'll even be able to keep their homes. Fortunately, someone has a plan. One man has the courage, the integrity, and the will to stand up and fight for what's needed. 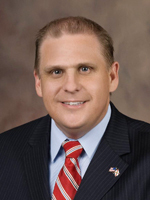 Ritch Workman, Republican legislator from Florida, has made it his goal to bring back dwarf-tossing. If he succeeds, then Floridian bars will no longer languish under draconian laws dictating what entertainment is allowed and what is not. No longer will little people have to suffer the cruel indignity of no one picking them up and drunkenly hurling them as far as possible. After all, says State Representative Workman, "in this economy, or any economy, why would we want to prevent people from getting gainful employment?" Fight on, you magnificent man. 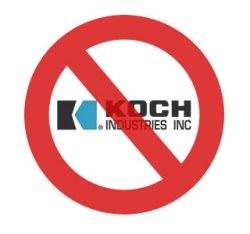 Been reading about Koch Industries and its complete disregard of American law? Want to do something about it? This is not an inclusive list, especially in the construction part, but I included all of the products that most people will likely run into. Most of the things left out will be identifiable by the Georgia Pacific logo. Always check for the Georgia Pacific logo. It's the same thing as Koch. Stand up for yourself, stand up for our rights! Stand up for America. Unfortunately, this boycott isn't enough, not by itself. Koch Industries is too entrenched in our society to simply stop supporting it entirely. After all, Koch supplies state governments across the nation with much of the materials needed for asphalt. It's hard to stop using roads. And that's not even touching the fact that Koch is primarily an energy company, and that they make most of their money by selling oil, natural gas, coal, and the electricity produced from these things. But this does send a message. It shows both our government and the corporations taking advantage of us that we're paying attention. It's a hard, long job, but we can make them afraid of us. Remember, though: to actually limit Koch's power, and take our country back from corporations like this, we need to change our government. Standing up against the tide of increasingly destructive politics in our nation. Background image by Jnn13 at Wikimedia. Licensed via CC-BY-SA. Picture Window theme. Powered by Blogger.